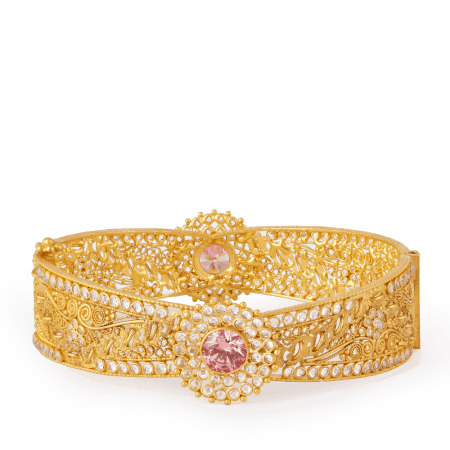 BRACELETS Choose a 22 carat gold bracelet to catch the light and enhance your wrists. 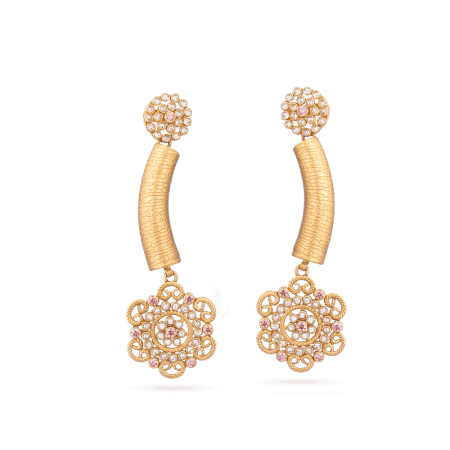 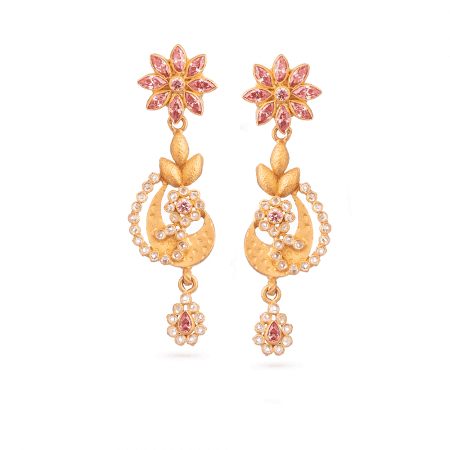 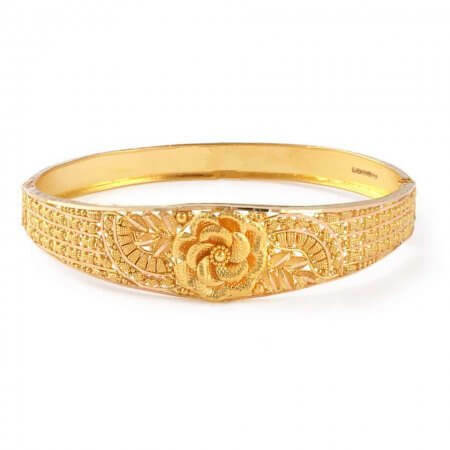 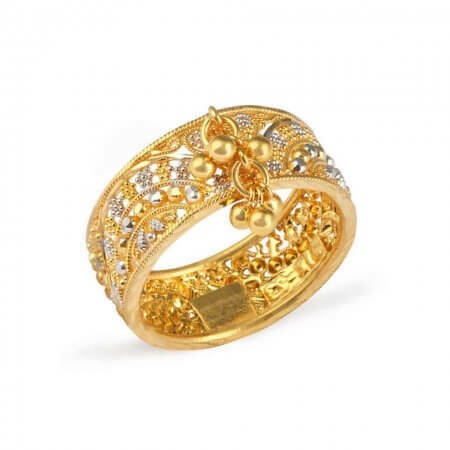 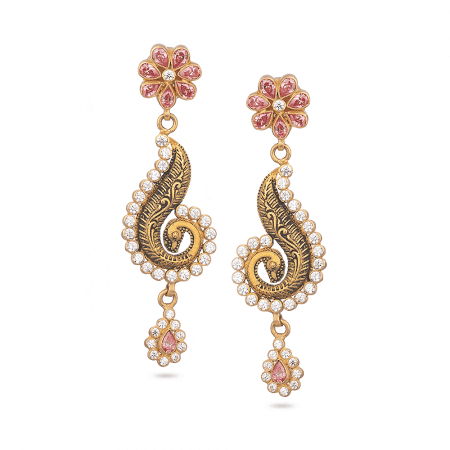 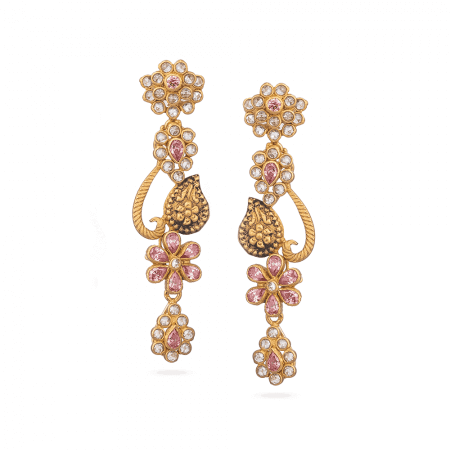 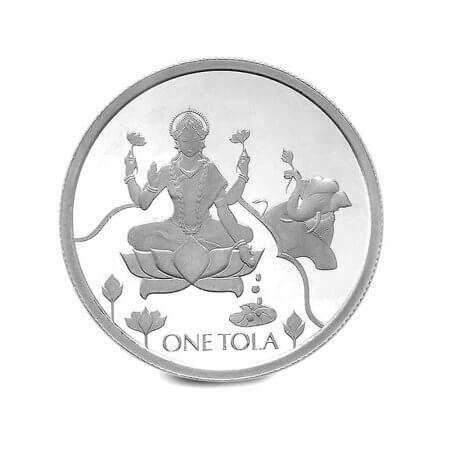 Our range includes delicate floral and filigree designs, traditional Ponchas, and stylish Polki diamond bracelets. 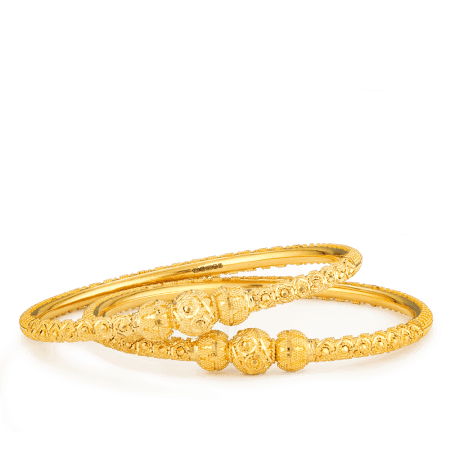 BANGLES The epitome of elegance. 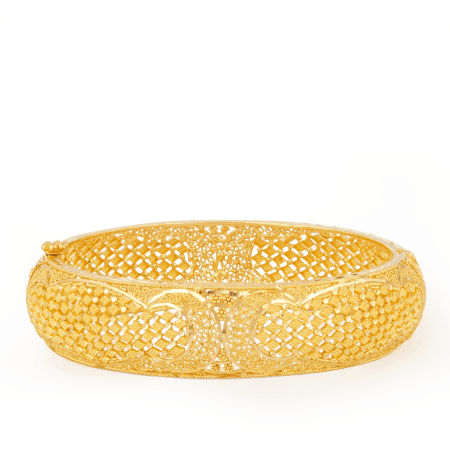 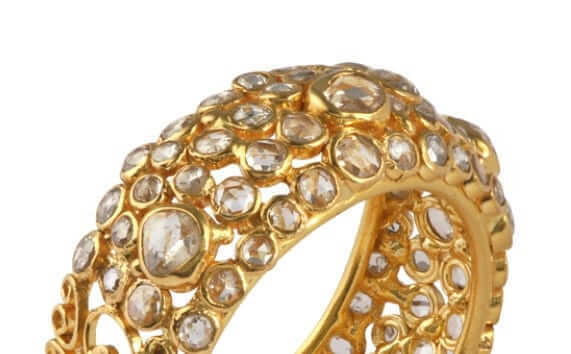 A traditional bangle is a perfect choice for special occasions and our range features contemporary versions rendered in diamond-cut, 22 carat gold, as well as many classically styled bangles. 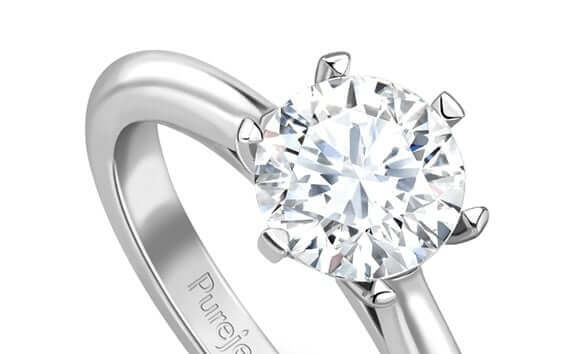 RINGS Engagement and wedding rings have always been the heart of PureJewels. 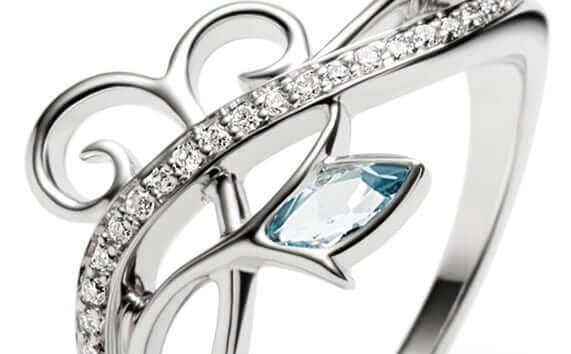 You’ll find this range loaded with signature pieces and dramatic contemporary choices. 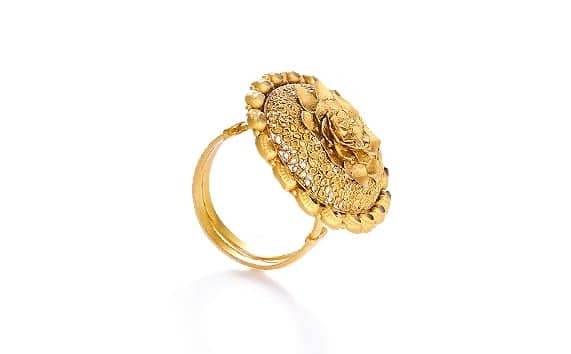 Perhaps a bold ruby ring or an intricate filigree band is your favourite – you’re sure to find something to adore. 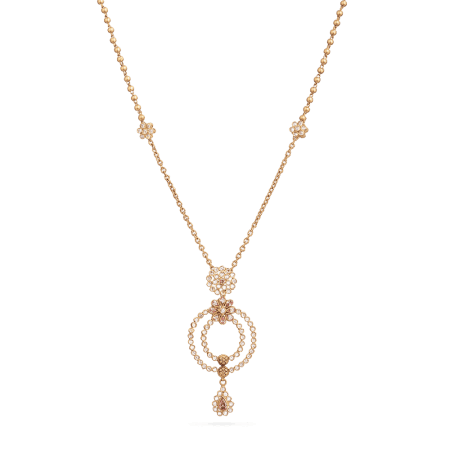 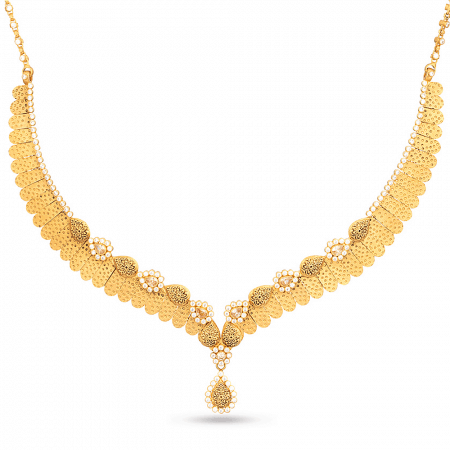 NECKLACES A 22 carat gold necklace is the choice of the jewellery connoisseur. 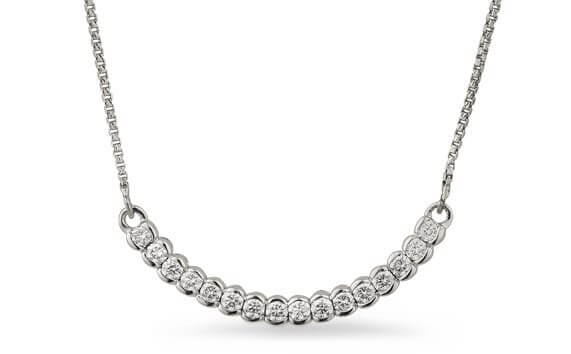 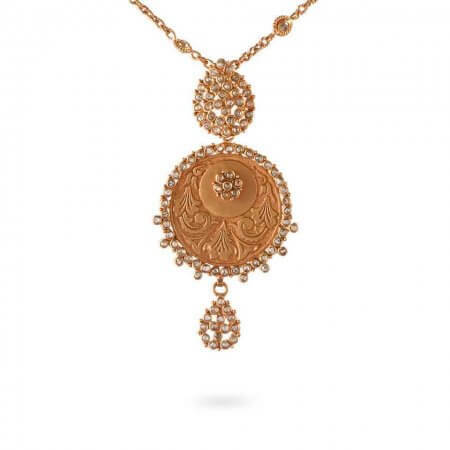 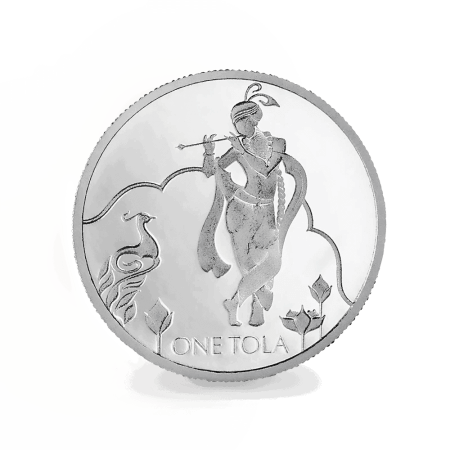 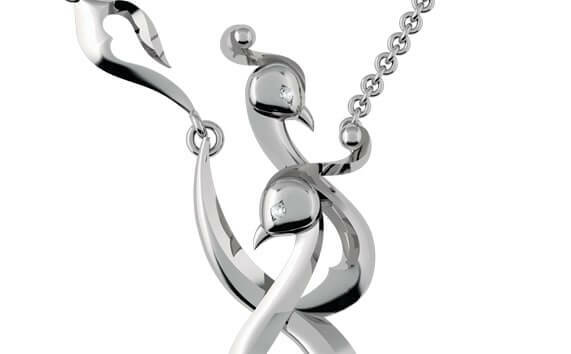 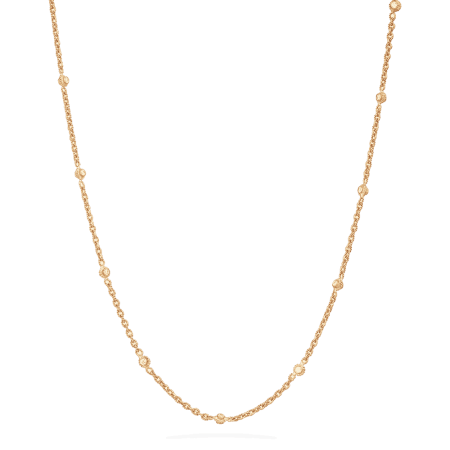 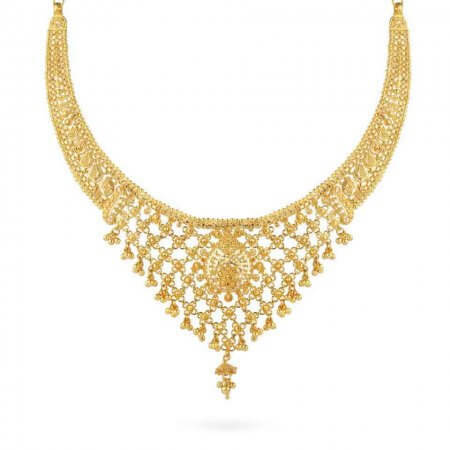 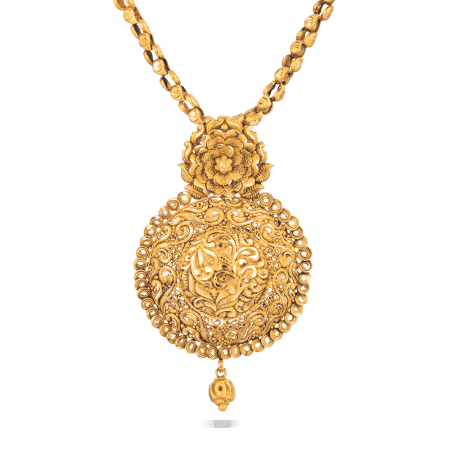 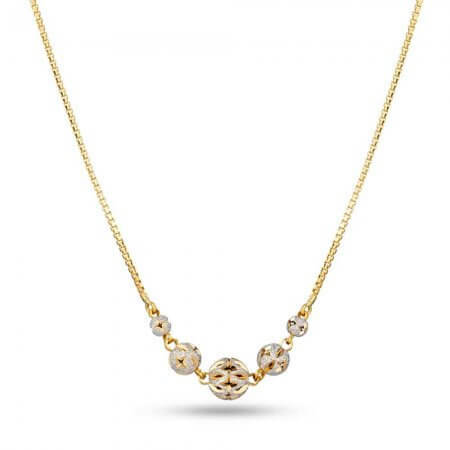 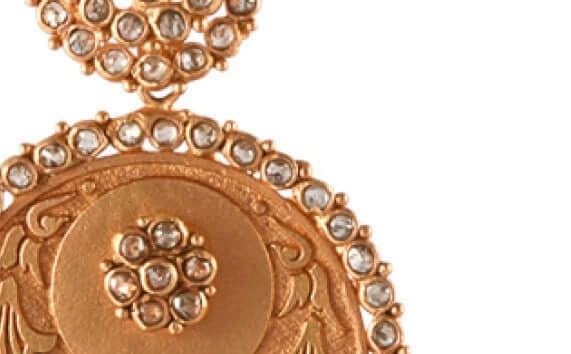 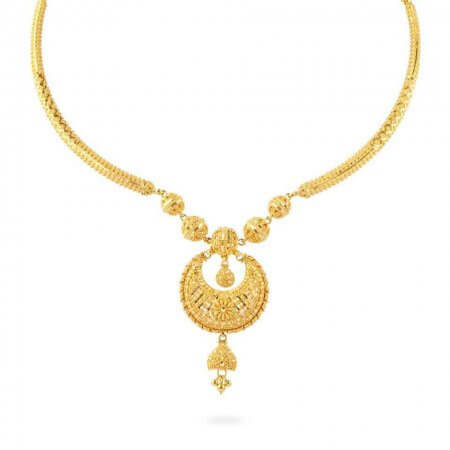 We design gold necklaces ranging from subtle and delicate to large and spectacular. 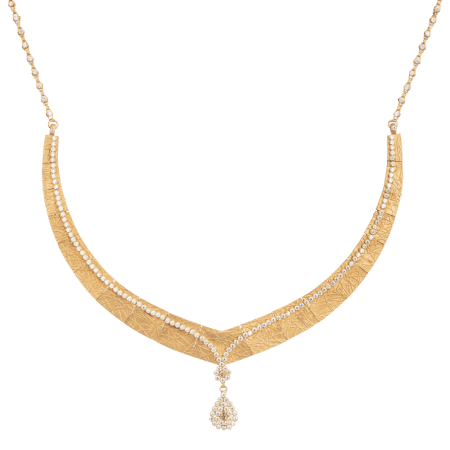 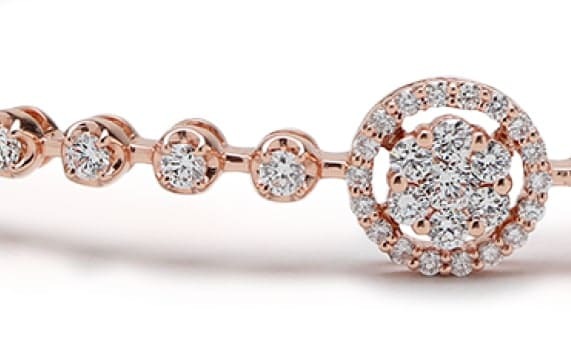 Choose a beautiful, diamond-cut sparkler or an elegant, chic statement in 22 carat gold. 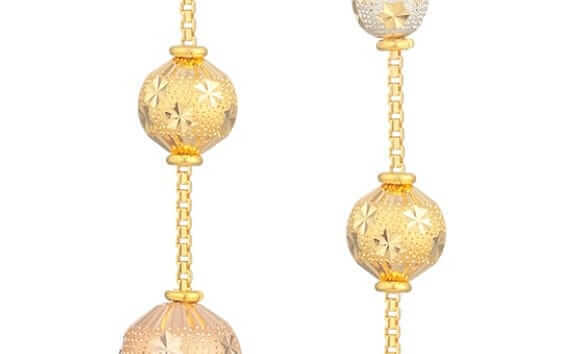 PENDANTS A pendant is designed to suspend from a chain. 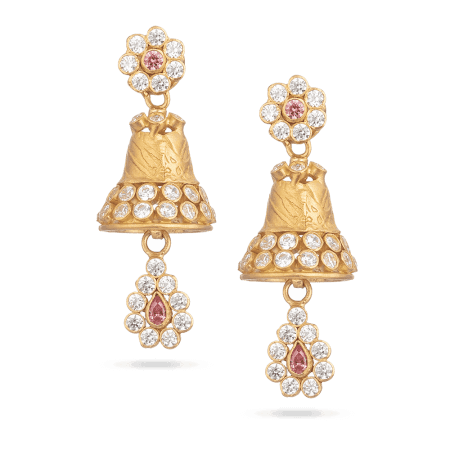 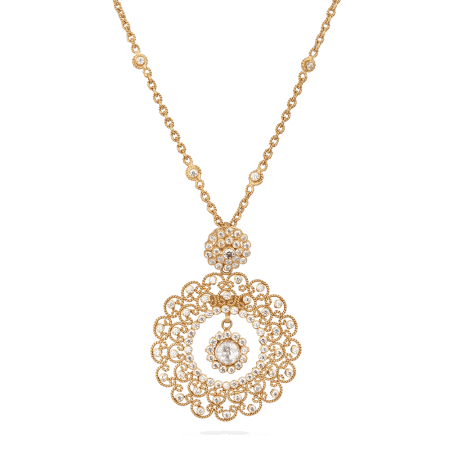 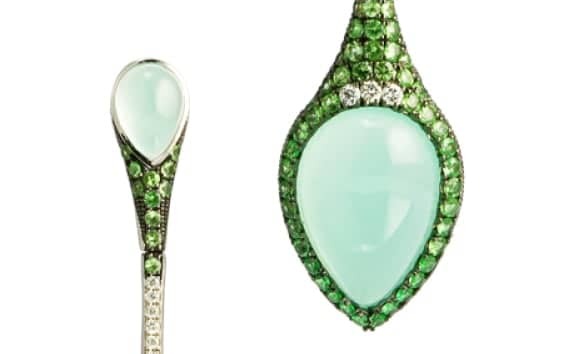 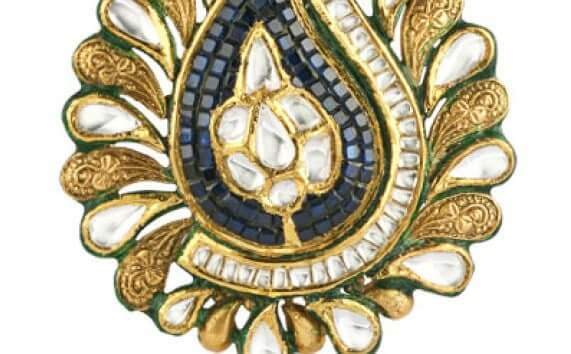 Choose one laden with diamonds or adorned with enamel; some of our 22 carat gold pendants are truly traditional, with Indian Kundan or Polki settings or recognisable classic shapes. 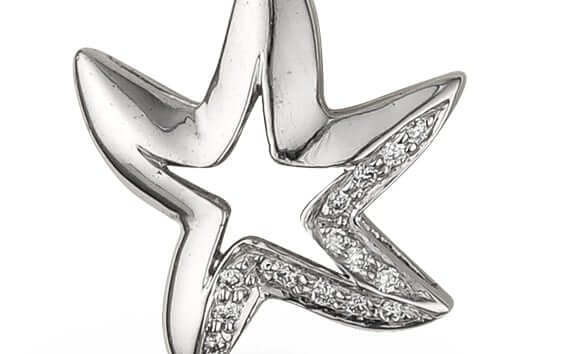 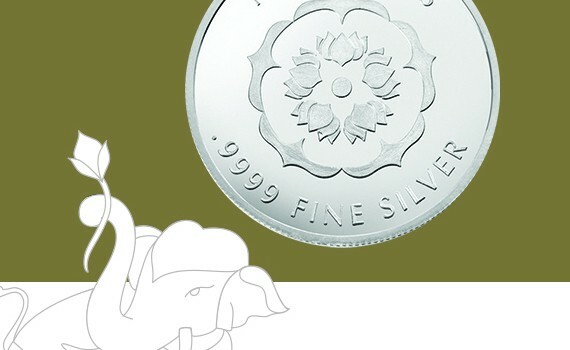 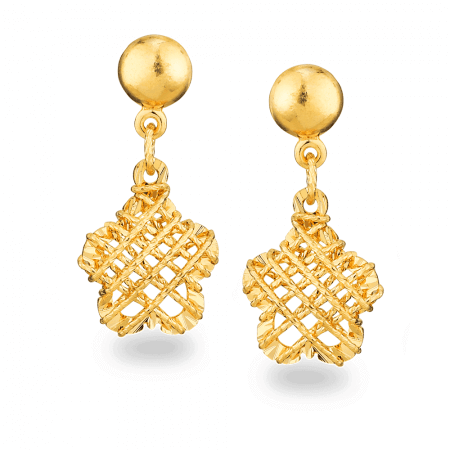 Others are gorgeously contemporary and suitable for everyday wear. 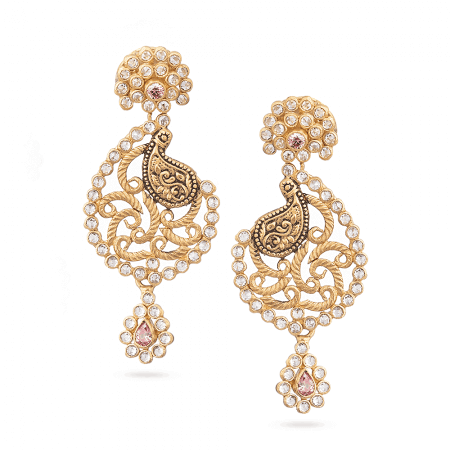 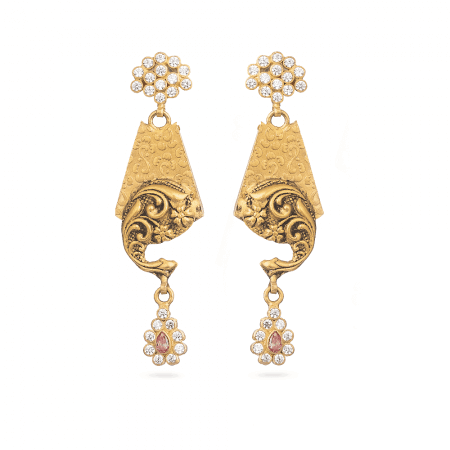 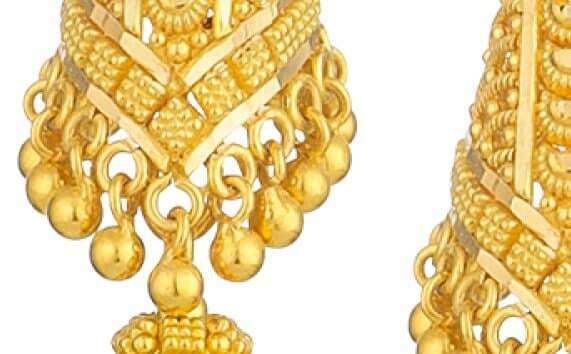 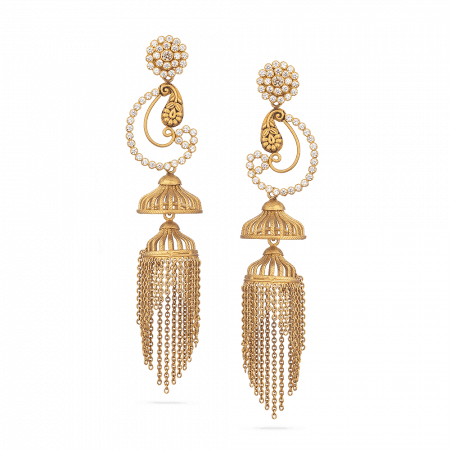 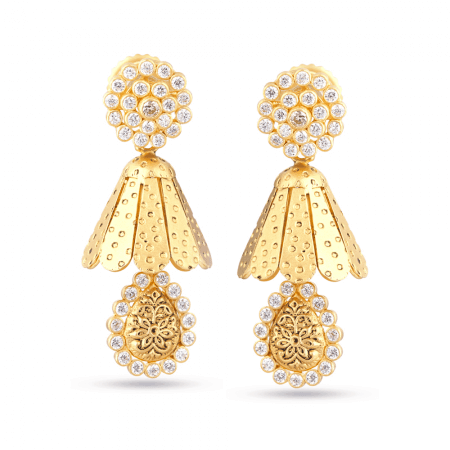 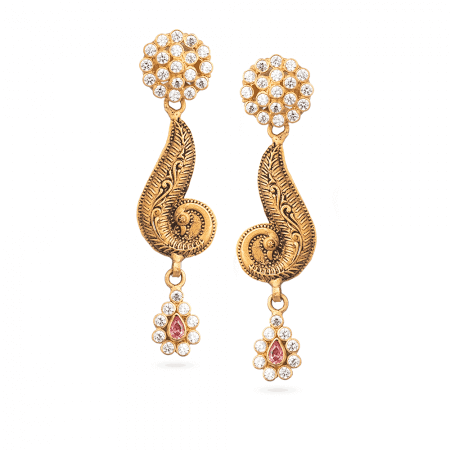 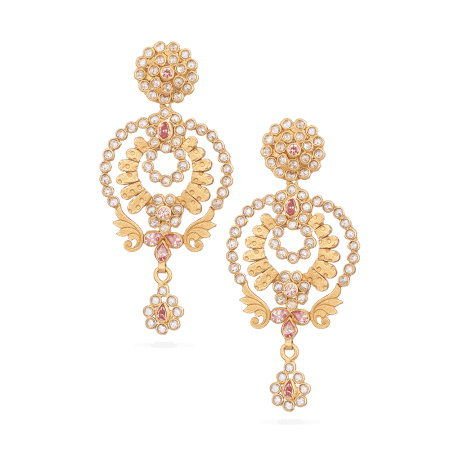 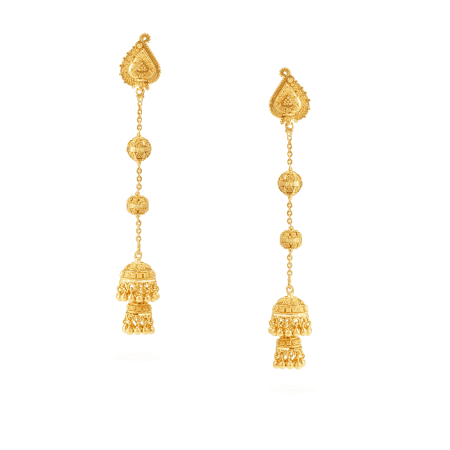 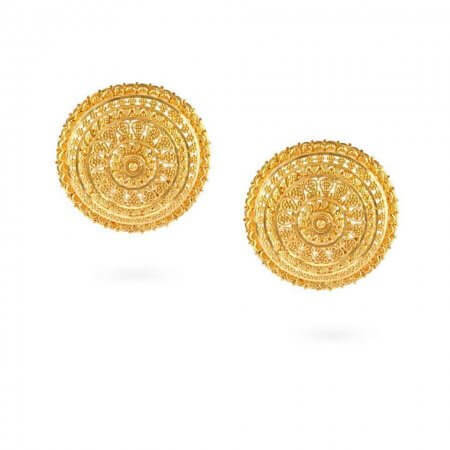 EARRINGS Pick a new pair from our divine collection: from luxury 22 carat gold chandeliers to lavish gold hoops and distinctively Indian designs, our earrings range is decadent and indulgent – just as they should be. 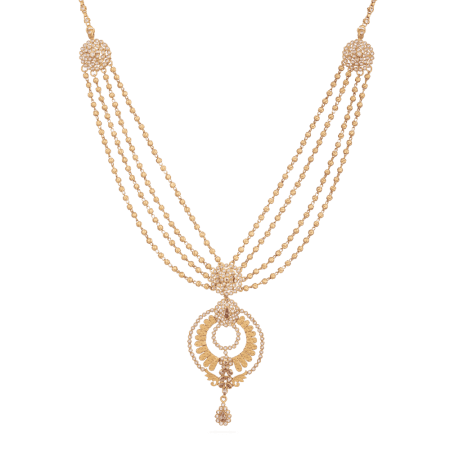 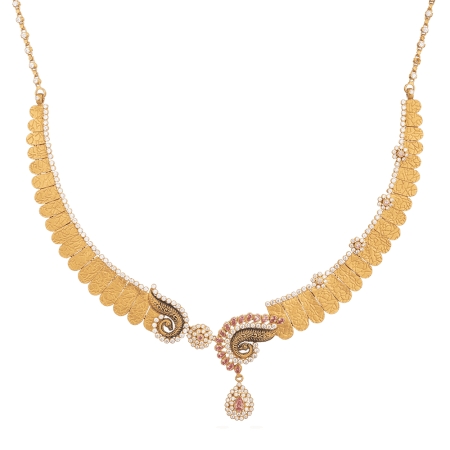 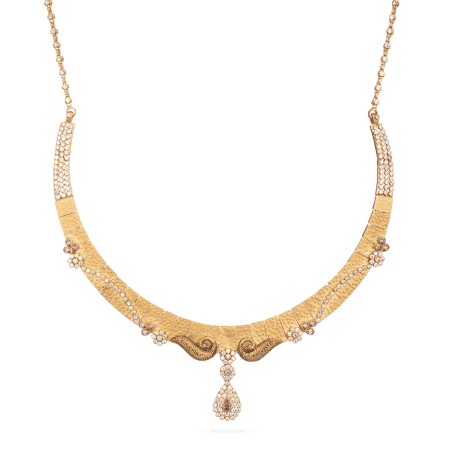 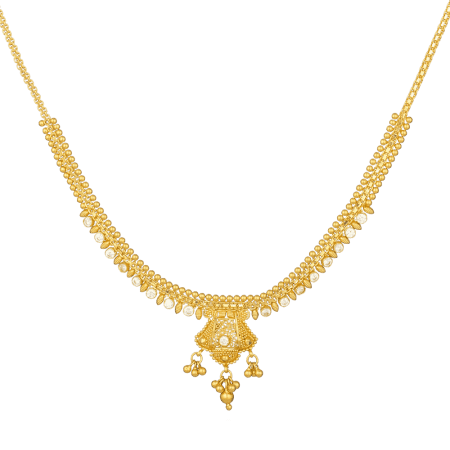 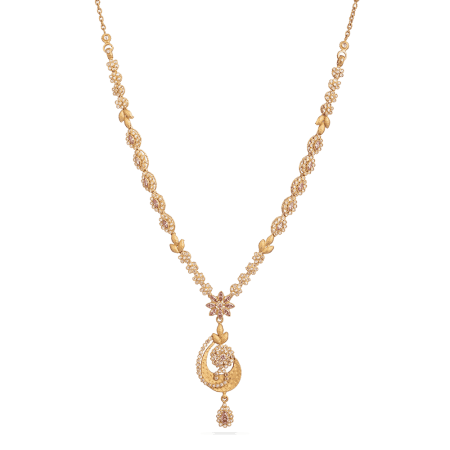 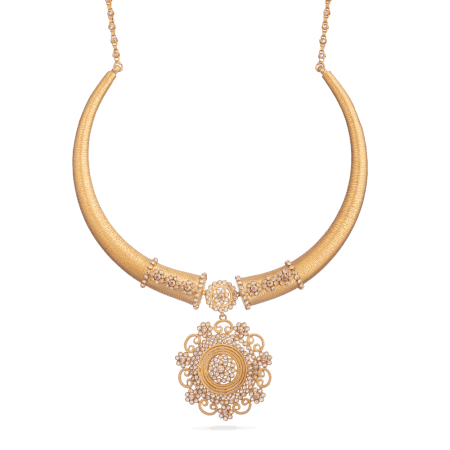 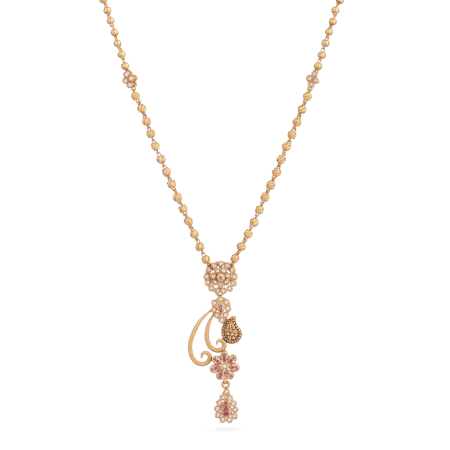 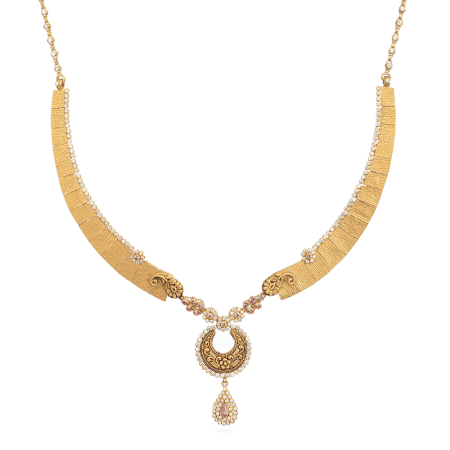 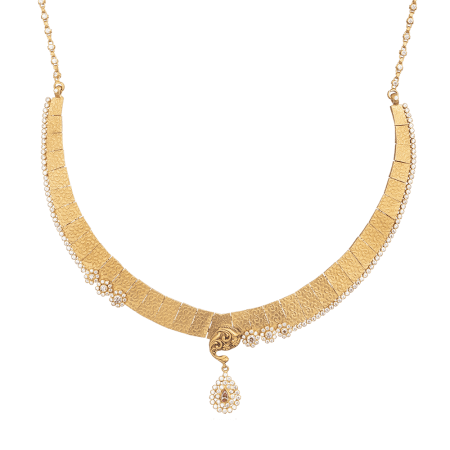 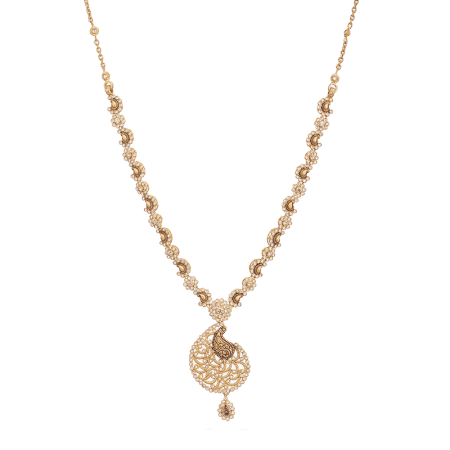 MANGALSUTRA Indian Bridal jewellery, and especially the Mangalsutra, is a beloved tradition. 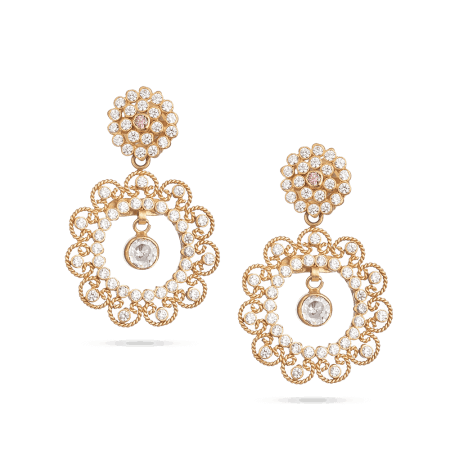 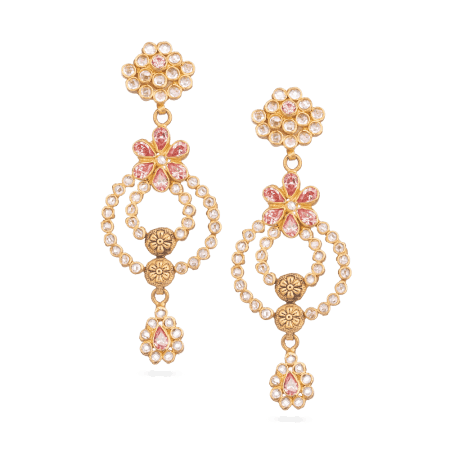 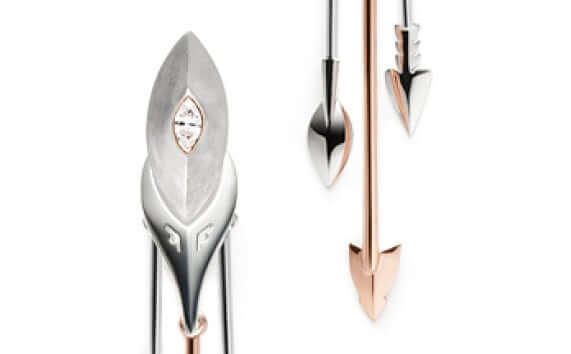 Ours are crafted from 22 carat gold and embellished with diamonds or rose gold for a dramatic finish. 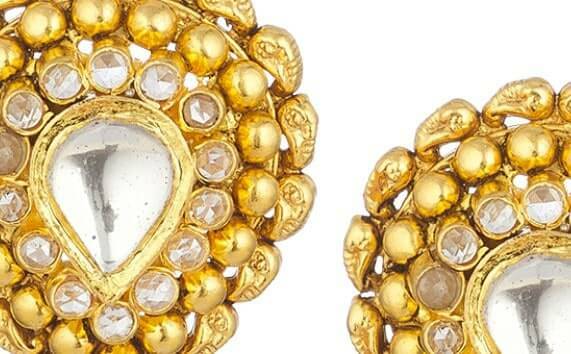 CUFFLINKS A classic accessory for the dapper gentleman and essential addition to the tux. 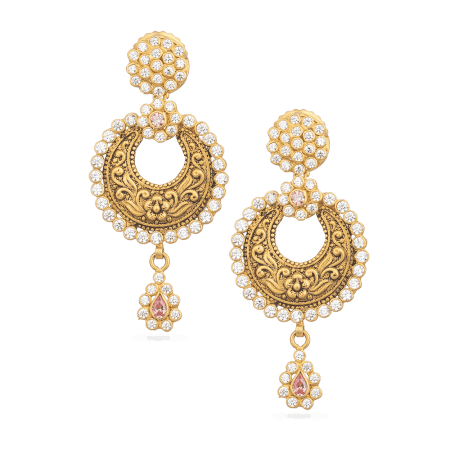 Choose from our historically-inspired designs in 22 carat gold and complete your outfit in traditional style.